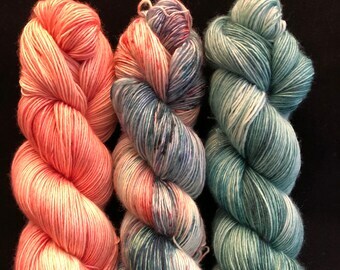 Announcement Yarn show at David's Yarn at 16526 N. Pennsylvania Ave, Edmond, OK 73012 on May 11, 2019. 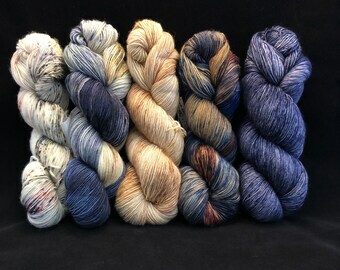 If you're local, come out and see and feel all the beautiful yarns! Hope to see you there! 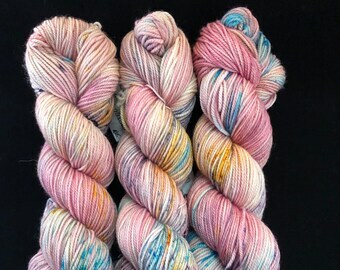 Yarn show at David's Yarn at 16526 N. Pennsylvania Ave, Edmond, OK 73012 on May 11, 2019. 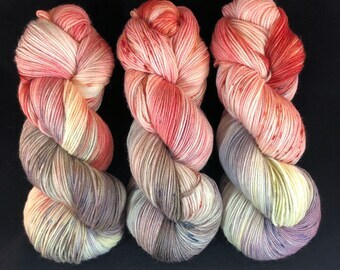 If you're local, come out and see and feel all the beautiful yarns! Hope to see you there! Beautiful!!! Yarns are shipped and arrive very quickly!!! 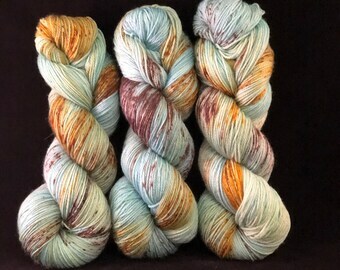 This yarn has all of my sister-in-law’s fave colors so it will be a fun project!!! 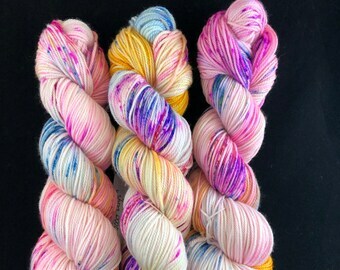 Her yarn is beautiful!!! 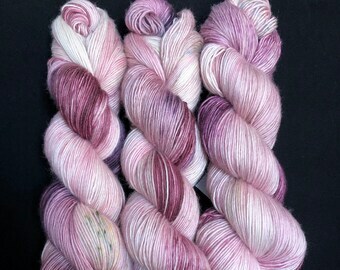 When you order her lovely yarns, they are shipped and arrive very quickly!!! Thank you for opening your shop and sharing your beautiful creations!!! Just beautiful! 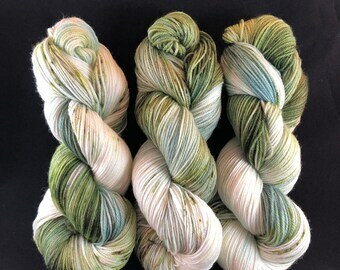 Can't wait to knit with it. 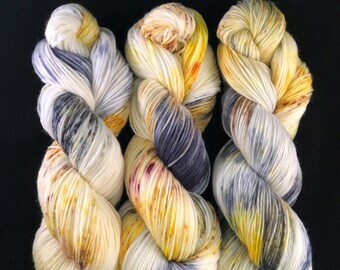 Beautiful, soft yarn, colors just as pictured - lovely packaging & super fast shipping! I have been a chick that knits since 2011 when I became a grandmother and had to learn to knit to bless my own grandchildren. My children's grandmother, from England, used to knit beautiful garments and accessories for my children. I loved them so. I had to learn the craft to bless mine. I became obsessed right away. Then I learned about yarn and actual yarn stores existed! I had found my passion. The creative aspect of my personality bloomed. 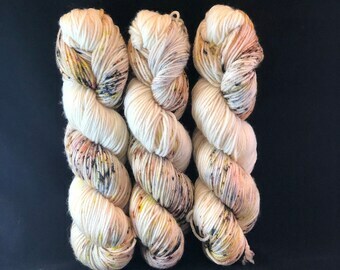 I became a yarn curator. Our vacations were centered around my fiber obsession. It is really fun to explore and learn about the fiber industry all over the world. 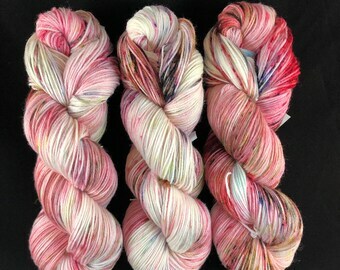 It was inevitable that my yarn love would lead me to creating my own yarn. I have been blessed that I get to do this full time. 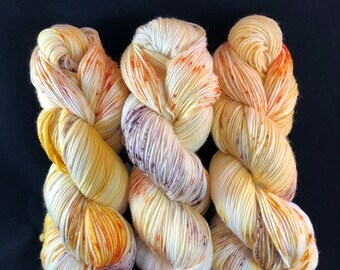 I am in my happy place creating and coloring the yarn and then moving on to create my knit and crochet projects. The thought that my passion and love gets to be a tool in another person's project thrills me. I think that is incredibly special! 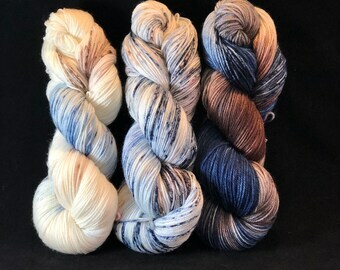 My adult daughters like to join me in the studio and create color ways. They get to express themselves and it's a lovely bonding time that we all greatly enjoy. 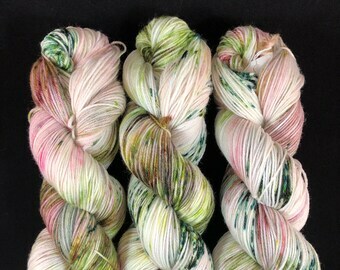 My daughter-in-law, Lauren, is an avid fiber enthusiast as well. 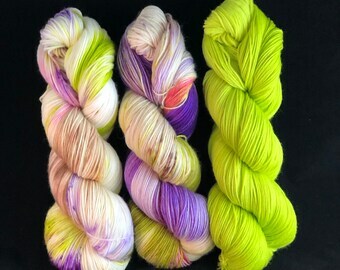 We are always creating with our colors and our fibers. 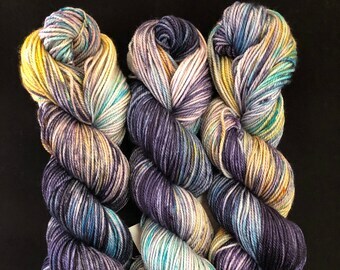 Lauren and Lindy have their own creative color-ways listed here as well. 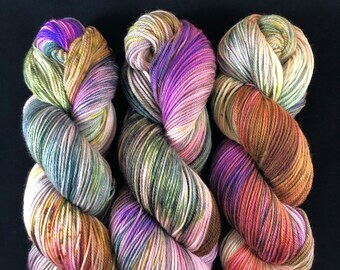 Lauren is my daughter-in-law that is also a chick that knits and often creates many color-ways. She is the cool to my warm. She brings her aesthetic of cool blues and greens that compliments my soft warm tones. 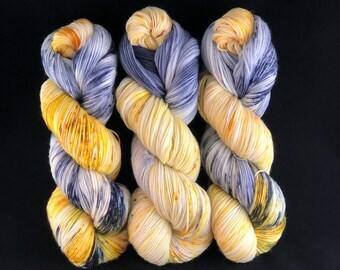 Together, we make beautiful yarn. Lindy is my daughter that is in nursing school. 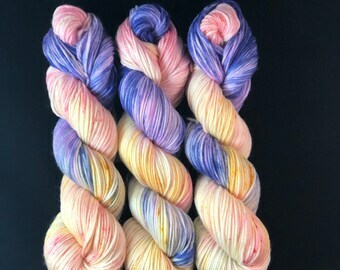 When she has some down time between classes and clinical, she will join me in the Dye Studio to create beautiful color-ways. Lindy is an amazing artist that specializes in water colors. Lauren is my daughter-in-law, married to my oldest son, John. She is also a chick that knitz. She hopes to become a full time dyer one day. 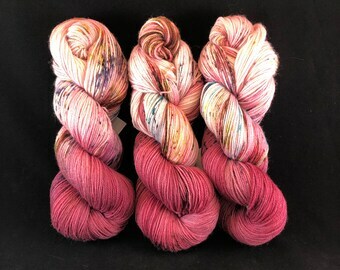 She often spends her free time hanging out in the dye studio dreaming up and making beautiful yarn. She loves the cool blues, teals, and greys. Lindy is my daughter who is working on her degree as a Registered Nurse. 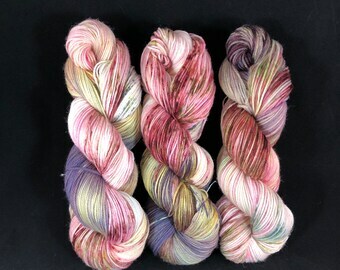 She likes to join me in the dye studio and create pretty Colorways. She is a talented artist and her favorite medium is water colors.